Although there is arguably a broader awareness of the tapered erosion of mortgage interest relief resulting from Section 24 of the Finance Act 2015, many landlords have decided to adopt a “wait and see” approach with regards to their future liabilities. Indeed, for basic rate taxpayers there may not be too much cause for concern – even after the full implementation of the legislation in 2020. For everyone else however, early preparation for what will be a notable hike in tax liabilities is strongly advisable. With a thwarted Judicial Review attempt and a Chancellor seemingly paying little attention to the issue, hedging on some form of policy reversal or retrospective allowance is risky and could create insurmountable challenges down the line. We explored the issue with Simon Misiewicz of Optimise – a Nottingham-based accountancy practice that works predominantly with property investors and traders. In part one, we ask Simon about his own experience of working exclusively with buy to let investors; the general advice being given to his clients with personally owned portfolios on the issue of Section 24 and how those that are thinking about selling can do so in a tax efficient manner. Readers can access part 2 by clicking here where Simon goes more in depth into the relative pros and cons of the various mitgation strategies circulating across the property forums and blogosphere. (1) Could you start by telling us a bit about how and why Optimise Accountants was formed and how you attend specifically to UK property investors / traders? I´m a property investor first and foremost and I started buying single lets, HMOs and flips back in 2006. An accountant friend of mine used to complete my tax returns as I was busy with other consultancy work – so I generally left him to it. However, whilst he was a very competent professional, I began to notice that he didn´t really provide me with enough advice as to how to be tax efficient. There are indeed not many accountants and advisory firms that operate specifically within this area of the market, particularly when it comes to how landlords and traders can legitimately save tax. Those that do would normally charge a premium and so I decided to move away from consultancy and formed Optimise to serve this purpose. As an example, someone who is not earning a significant amount of profit, or indeed is making losses that are being carried forward on an annual basis, may argue that good property accountant is prohibitive as there is no effective tax being saved. Typically, they would only approach an accountancy specialist when they were actually making healthy profits as the costs are warranted. However, through Optimise, even if they are making losses, we could approach their situation specifically and take a long-term view or, if it´s preferred, provide some “one off” advice to address any issues that may not be so obvious at face value. Ultimately, it comes down to balancing how much you pay for a professional against the benefit it provides. Whilst I can see why many landlords still do not actually use accountants, we aim to offer a competitive fee structure meaning our service is accessible to both smaller and larger portfolio holders as well as traders and developers of all types. (2) In addition to the Prudential Regulation Authority (PRA) criteria (initiating in January 2017) and various other regulatory changes, Section 24 was perhaps the most punitive legislative blows witnessed in the buy to let sector. Assuming that the policy is not reversed, what is your advice – particularly for investors that are heavily geared? This has been a common question coming into our office since the announcement in July 2015 and we are generally advising landlords to not overly panic. There is a lot of noise and scaremongering amongst the property forums / social media communities when it is forgotten that a significant proportion of landlords are basic rate tax payers and will not actually be affected by the tapered erosion of mortgage interest relief. As you stated in your question, those that are highly geared may find themselves inadvertently affected particularly when interest rates start to creep up – however, this is not a foregone conclusion. From the outset, it is important to understand “where you sit” as an investor – meaning that it is fundamental that you spend time with an accountant and/or tax advisor. 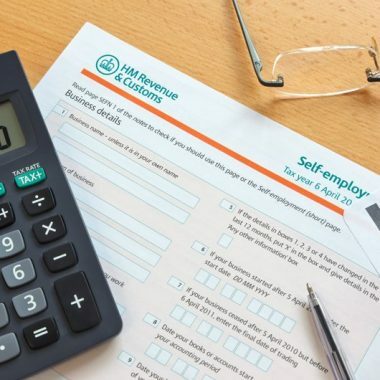 Using your previous tax returns, a suitably qualified professional that genuinely understands the legislation will be able review what is likely to happen over the next four years given your current situation. I think many people are going to be pleasantly surprised to see that the impact is not as great as they might have first imagined. (3) Do you think that most investor landlords have a genuine understanding of real implications of Section 24 in relation to their own tax liabilities up to and past 2020? To a certain degree, yes. However, we´re observing that many accountants do not understand the scope of the legislation and there have been several instances where incorrect information spreads across the landlord community – which merely exacerbates the confusion. This lack of understanding from a professional environment combined with forum posts and misinformed articles is actually leading to a lot of people burying their heads and hoping the issue will disappear, which personally I do not think it will. Mortgage interest relief is now written in law and is not something that is going to be ignored. (4) For those that do decide to sell – for example to reduce their overall portfolio loan to value ratio – but are concerned about Capital Gains Tax (CGT) liabilities resulting from disposal, what would be your advice? EIS is mainly involved in investing in businesses – you may find organisations that will “hand pick” suitable opportunities, undergoing a due diligence process to ascertain future success on investors´ behalf. Note that these schemes rarely give a significant amount of return – the aim is to protect capital from loss. However, what you are benefitting from is the amount of tax relief and gradual reduction. Should a company invested through an EIS go bust for whatever reason, you would get tax relief on the loss incurred. Please click here to read Part 2. Uniquely positioned in the marketplace to specifically serve buy to let property investors and traders, Optimise Accountants offer a range of services from advice on starting a portfolio, profit maximisation, Limited company structuring / restructuring, tax returns and fully compliant mitigation strategies. Book a free consultation by clicking here.